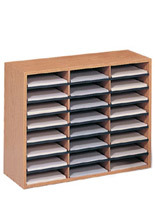 These literature organizers provide the perfect solution for sorting paper supplies in a school art room or filing interoffice mail in a business setting. 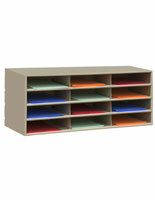 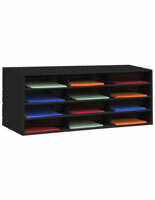 The multiple compartments make it easy to sort and file all kinds of publications and art materials in any environment. 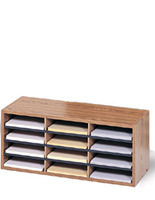 The online collection includes smaller units with fewer slots that can be set atop counters, tables, and other workspaces as well as larger organizers with many compartments that can be placed on the floor. 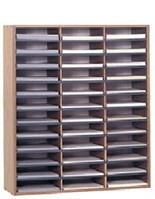 Choose from metal and wooden systems to get all your supplies or mail in order!